Psalm 24 reminds us that the whole world belongs to the Lord, and that includes Cleveland, OH. We believe that God is at work in Cleveland, bringing gospel restoration to individuals and communities through His church. In The summer of 2015, Mark Robertson and his family moved to Shaker Heights because they sensed a need for more gospel-centered churches on the east side of Cleveland. 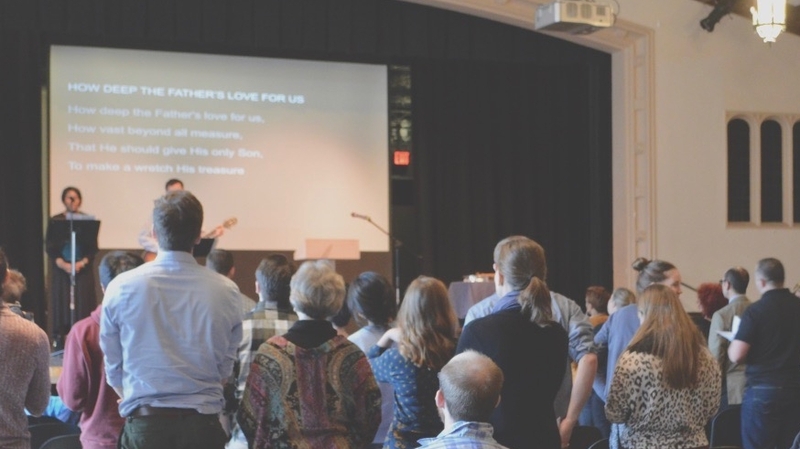 After several months of connecting with others who were committed to Mark's vision of joining God's mission, The Heights Presbyterian Church began meeting for public worship in the summer of 2016. We have continued to grow as a church plant, and have welcomed people from a variety of backgrounds. We strive to be a church that reflects our community's diversity and various cultural expressions. Even as we learn what it looks like to represent our community through worship, we maintain our vision of proclaiming the gospel of Jesus, faithfully teaching the Word of God, and passionately loving our neighbors, especially those who are most vulnerable in our society. The Heights Presbyterian Church is a mission church of the Presbyterian Church in America and the Ohio Presbytery. We are connected to the North East Ohio Church Planting Network, the Mission Anabaino Church Planting Network, and the Spanish River Church Planting Network. We have a passion for seeing more gospel ministry take root in Cleveland, as God continues to raise up ministers of the Gospel.